Barbecued fish. Two words you don’t hear together a lot. That’s a shame, because fish cooked slow and low over smoky heat is arguably the best way I can think of to eat fish. And yes, I love fried fish as much as the next guy. 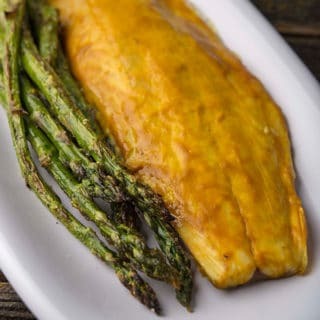 But barbecued fish adds smoky flavor, whatever barbecue rub or sauce you like, plus the gentle heat is a great insurance policy against overcooking your fish. While the technique is simple, there are a few tips I can offer you to make your barbecued fish better. Work with fillets or steaks. While there’s nothing wrong with barbecued whole fish, I find it fiddly and the skin doesn’t add anything because it’s not crispy — unlike grilled fish. Salt your fillets for 30 minutes before cooking, in the fridge. This seasons the fish, and also keeps it cool so it won’t cook too quickly in the barbecue. Keep the skin and scales on the fillet, like you’re doing redfish on the half-shell, and for the same reason. The skin and especially the scales protect the fish from the heat and allow you to really go slow and low. If you have a pre-scaled fish, you will still be fine, just be sure to oil the skin and grill grates well. Fish with sturdy scales and skin are better, but since you are barbecuing not grilling, you can get away with more delicately skinned fish like trout or mackerel. Work with clean grill grates and slick the skin of the fish with a little oil. This prevents the fillets from sticking. Think about your rubs and sauces. 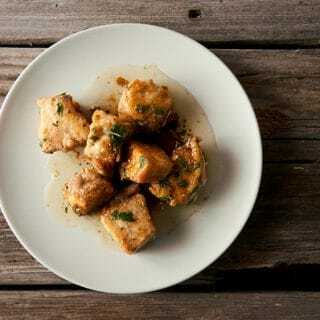 A really robust sauce like a Kansas City style BBQ sauce might be too much for most fish — but just right for, say, a strongly flavored fish like bluefish, king mackerel, amberjack or tuna. That’s why I prefer to use my trusty ole’ South Carolina BBQ sauce: This mustard based-sauce is a lot lighter in flavor, and works really well with fish. Or, you can skip it altogether and just enjoy your fish with salt, smoke and maybe some lemon or lime juice. Only apply your sauce only once. Too much sauce overpowers the fish. Wood choice is up to you. I always use alder or oak for fish, but any wood that makes you happy will work — it’s not barbecued for hours and hours, so the smoke flavor is mild. What sort of fish to use? Pretty mush anything, so long as it’s decent sized. Obviously teeny fish aren’t what you want, nor are really thin fillets like those of sole. The fish in the picture is a small striped bass of about 18 inches — the minimum size you can keep here in California. 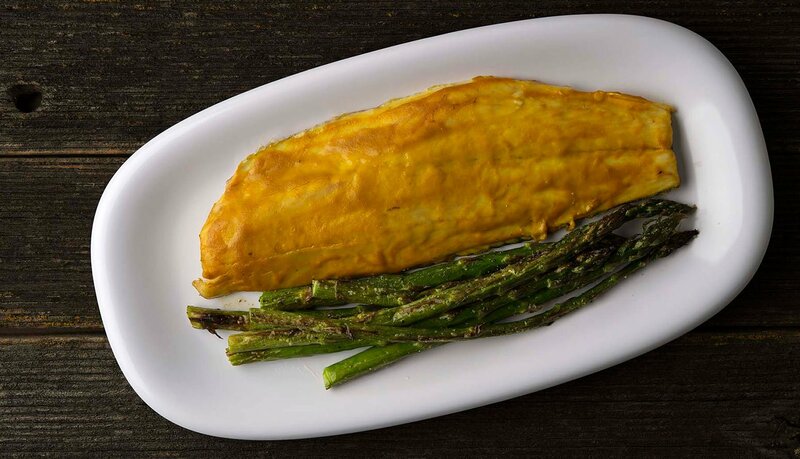 It’s a good model, as the fillets are a good single serving, and mimic a decent smallmouth bass, walleye, rockfish, black seabass or small snapper. But there is absolutely no reason you can’t barbecue a larger piece of fish, serve it on a platter and have everyone have at it. A big grouper or salmon fillet, or a platter of king mackerel steaks, would be damn fine if you ask me. As I mention above, you have a lot of leeway here in terms of what fish you use or which sauce you choose. I happen to like using fillets of bass-like fish with a mustard-based BBQ sauce, but you can go other routes if you want, and even use thick steaks like salmon or tuna. Salt the fillets well and put in the fridge for 30 minutes while you get your barbecue ready. 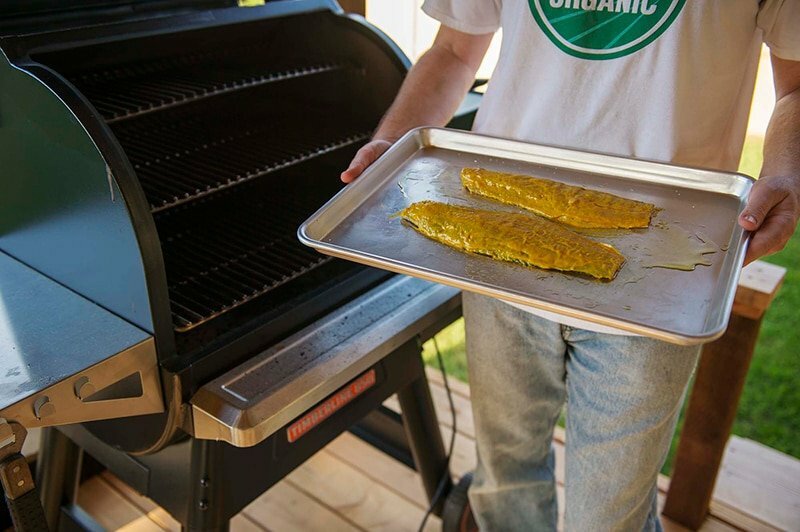 Clean your grill grates well and, if you are working with a scaled fish, slick the grates with some vegetable oil. Preheat the grill to anywhere from 200F to 250F. When you're ready to barbecue, slick the skin side of the fish with some vegetable oil. Do this from the head end of the fillet backwards, so you're going with the grain of the scales. Paint the flesh side of the fillets with the BBQ sauce of your choice, or a nice dusting of a barbecue rub you like -- or just a grind of black pepper if you want to stay simple. Set the fillets skin side down in the grill, cover the grill and cook as slowly as you can stand. A thin, 1/2-inch fillet like the one in the picture, barbecued at 200F, was perfect in 45 minutes. Remember slower is better, so you get more smoky flavor. Serve your fish on the skin -- you eat it by picking the meat off the skin with a fork -- with some lemon or lime wedges, a nice vegetable and either rice or potato salad. You can find more than 100 recipes for all types of fish and seafood right here on Hunter Angler Gardener Cook! Matt: It is indeed! Will take a while, though, as a fish cookbook, to be really useful, is a complicated project. Stay tuned. I take a bass fillet skin on , no scales ,put it in the smoker with a little pecan wood. While that is smoking I melt a half stick of butter , put in 1 Tbsp of cavenders seasoning,a pinch of garlic powder,a little black pepper and the juice of one lime. I baste a couple of times and serve… it makes a nice looking plating.